LongHouse Reserve’s Fall hours thru November 24th are Saturdays, 12pm to 3 pm. Sixteen acres of gardens and outdoor sculpture by Dale Chihuly, Willem de Kooning, Sol LeWitt, Yoko Ono, George Rickey, among other notables. LongHouse embraces a comprehensive view of art. The goal is to expand the imagination and appeal to visitors of all ages and every level of appreciation. Ethnographic works and handcrafts share the spotlight with the best of modern art. One can view many of the 60 works in the gardens, along with those of visiting artists. Glass installations by Chihuly, ceramics by Takaezu, and bronzes by de Kooning, Nivola, and Hunt, as well as works by Ossorio, Bury, Ono, Soga, Kraitz, LeWitt, Rosenthal, and Opocensky, while Buckminster Fuller’s Fly’s Eye Dome keeps watch over all. 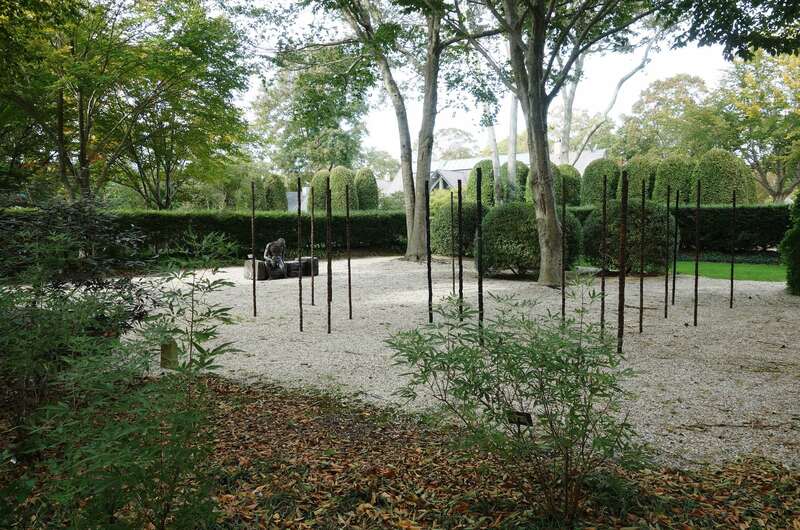 LongHouse Reserve is located at 133 Hands Creek Road, East Hampton.